The NHS South Suburban office held a “Coffee Talk” seminar for realtors on September 16, in East Hazel Crest. Roberta Cosey and Jonathan Dyer from the NLS Lending Team, along with Sherry Smith of Homeownership, engaged in discussion with realtors and area stakeholders over coffee on the products and services offered by NLS/NHS and how these services could meet the needs of their clients. 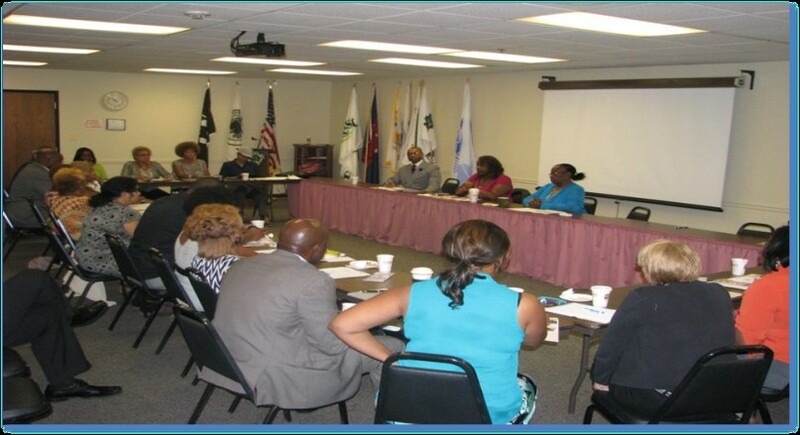 South Suburban staff continued its outreach efforts by participating in Congresswoman Robin Kelly’s “Second District Veteran Workshop” on July 31, as well as hosting a training workshop for State Farm insurance agents to strengthen the relationship between NHS and State Farm.